My sales and marketing presentation to our local Women in Rural Enterprise group was well received yesterday (based on feedback forms and the discussions that followed). Normally a 3 hour interactive workshop, we converted it to a 40 minute presentation. It was hard to leave anything out, so I rattled through it at a pace. The workshop focussed on the 'virtuous circle' of marketing communications from raising awareness to taking an order and delivering the product or service in a way that meets customer expectations. We covered many dos and don'ts of marketing communications. I urged everyone to be analytical, make a plan and stick to it, and harness the power of testimonials. Naturally I asked for testimonials and plenty of feedback. 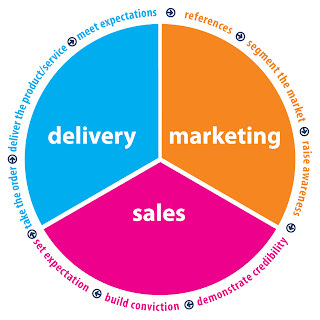 The next event is on 29th April in Fenny Bentley when Derbyshire's business owners are invited to review their sales and marketing plans for 2009.